Cyndy accepted a new position that required her to learn a large amount of new information about computers to be able to sell computer software programs to retail outlets in cities she had never been to. If you were Cyndy what would you do and how would you go about doing her job? Press each one to reveal what they mean? 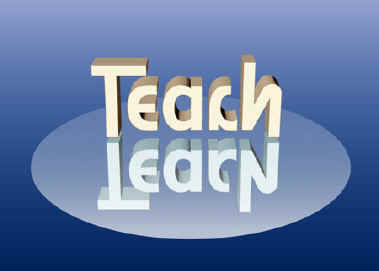 Learning style a behavior you use most often to effectively acquire information, or successfully complete assignments. Not always rewarded by a grade! Look at each of the above labels and compare them to the descriptions below. Think about how you learn new information, and how you behave when starting a new job or are asked to perform a new task. Rank the above learning behavior when you encounter new material to learn. Use a most likely to a least likely approach to this ranking. For instance put the behavior that most matches your response first and the behavior that is most often never used last! Rank the four different behavioral patterns according to the way most like you (that is the easiest for you to do and thus the most frequent approach you use to new material). The last behavioral pattern on your list should be the least like you (that is [i.e.] the most challenging aspect of a new task and thus the least frequent approach you employ when confronted with a new situation). Fill in the green boxes above with your selections. Print out the page when you are done and bring it to class and conference meetings. This refers to how you learn fast or catch on to things with few mistakes in a rapid period of time. This behavior is indicative of people who love to make lists of what they need to know and enjoy searching out the sources of this information because the like to check the accuracy of what they know. This category refers to someone who enjoys being told what to do and goes ahead precisely as instructed because they like to see results and take pride in what they make, craft, or carry out. This behavioral category is characterized by responsible actions that people perform who enjoy checking up on others or on themselves to assure that the task gets done and is done well. Think about a new learning situation where you were expected to master new material or a set of new procedures with few if any instructions. What did you do to successfully accomplish the new task or assignment? Do not worry about being exactly accurate ­ give your best effort when arranging the learning style categories from most like you to least like you with respect to a recent and characteristic experience you have had to effectively master. We all learn so differently from one another.